With cities around the world being forced to take action on pollution and congestion, its hardly surprising that there’s more headlines than ever talking about the resurgence of both active travel and public transport. Finland’s capital city has just released new data assessing cycling’s contribution in terms of economic, health and social benefits. 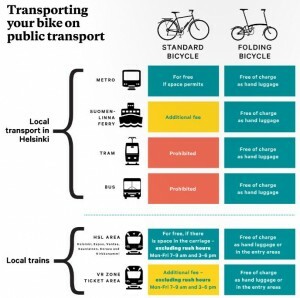 Among the headlines, the Helsinki Bicycle Account reveals a near eight fold return on investment on cycle infrastructure in the city, the highest return on investment among all transport forms. The document further states that per each kilometre cycled is worth 1.22 Danish Kroner in Denmark, while motoring is costing around 0.69 Kroner per kilometre. Specifically within Helsinki that figure ranges 0.30 to 1.30, depending on local investment. With the city’s population expected to grow by 100,000 in the next ten years and there are some creaks in the system that are to be addressed. For example, the main train station has just 187 parking spaces for bicycles, a fraction of what’s needed. Bike share is to debut in the summer of this year, initially offering 50 stations and 500 bikes. The project will further extend at the latest by 2018 to deliver 150 stations and 1,500 bikes. An estimated 10,000 to 20,000 registered users will take part by 2018, says the document. Opened in 2012, the city’s Baana network begun to open in segments with a goal of 130km of paths laid down once finished. The result is an 11 percent modal share for cycling within the city, delivered via a network that’s designed to be direct, often running parallel to railways and roads. These are considered the fastest ways to traverse the city up to distances of 6 kilometres. As a result of a cohesive network, cycling to work and school levels are fairing particularly well in the region, with 45% of trips accounted for here. Integration into public transport further ups the appeal for long distance commuters, with folding bicycles accepted free of charge across metro, ferry, tram, bus and rail. Standard bicycles are further taken on all but tram and buses, though fees can apply. All of this is too be backed further by the local Government, which proposes to increase funding to €20 million a year – equivalent to €33.3 per head of the Helsinki’s population. Denmark’s sixth largest city has completed a trial period in which residents of a town and surrounding villages were given access to fleets of electric bikes – a project that has delivered a stunning uptake since its conclusion. The demo, which centred on the Randers region and three surrounding villages, saw each district handed 10 free to use electric bikes. 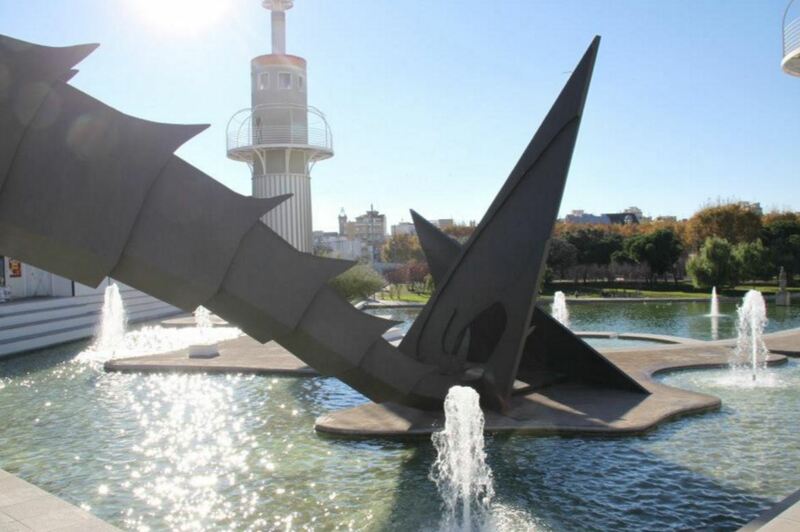 The region has a population of around 61,000 and is in many ways similar to many European communities, raising hopes that similar projects could easily be trialed elsewhere. 120 participants took to e-bikes during the trial. Assentoft, Langå, and Spenstrup were the beneficiaries, with two districts offering the bikes on a three month hire and the other on an individual hire basis. As detailed by the Danish Cycling Embassy, the project has since seen 21% of participants buy their own electric bike, while 26% use their own bike more for commutes. 56% of those taking a bike out were using it to commute between three and five days per week and despite a slight increase in journey time for those in rural parts, feedback was largely positive on the experience. 91 percent approved of electric bikes having slung a leg over. What’s more, of those who took advantage of the pedal-assist bikes, three quarters were women, while 70% were aged 35 to 54. There’s knock on effects for motoring too, with participants who tried an e-bike reportedly ditching the car more often – down 11% since before the trial begun. Singapore has passed a proposal to require city planners to build in active travel provision – including bike parking, showers and lockers – into each new development. Following media scrutiny of a new S$1.33 Bn Sports Hub development, which opened without any bicycle racking, the irony brought to light the city’s poor provision for cyclists and walkers. Active from this month, the new Walking and Cycling Plan requires buildings to have safe and convenient access for cyclists and pedestrians from the very outset and not as an afterthought. Paired with the National Cycling Plan, which has ambitious plans to add 700km infrastructure increase by 2030, the city has begun to give deep consideration to changing transport habits. There’s even suggestions that cycle paths will be lined with features to keep cyclists shaded in the notoriously hot and humid climate. 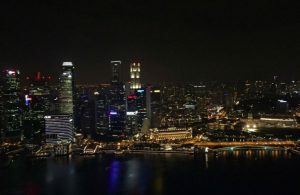 Singapore is making a concerted effort to go “car-Lite” following a 2014 announcement by Prime Minister Lee Hsien Loong as part of the Sustainable Singapore Blueprint. This plan, backed by S$1.5 Bn over 15-years, will help the country reduce its reliance on cars and move toward active travel. At present cycling sits just below 2% of trips, though is growing. When it comes to rail links, the new Thomson-East Coast MRT Line, set for a 2019 opening, will host between 100 and 300 parking spaces for bicycles at each station, a rise on the 40 to 100 at older stations. Furthermore, authorities are studying how to build seamless infrastructure connections between six substantial residential areas and the central business district. It is hoped each will benefit from a route easily ridden in 30 minutes. These routes will be open to electric bikes and mobility scooters. A new North to South artery will launch in 2021, spanning 21.5km and will be unique in Singapore. Dutch province Groningen has been green lighted to receive €85,000,000 over the next five years to spend on cycling and promotion of active travel. Announced last year as part of Groningen’s cycling strategy 2015 to 2025, the city cycling policy officer has now confirmed the funding, which stems from municipal, federal and regional budgets. With the finances in place, projects such as an underground bike tunnel, as well as 5,000 additional parking spaces for bicycles are among the first to be touted. What’s perhaps more impressive about the lump sum, is that when broken down among the regions 200,000 citizens over the five year spend, the per-head tally is €85 each. Read more over on the European Cyclist’s Federation. Utrecht has outlined a spend of €186 million for investment in cycling up to 2018. Already famed for its cycle-friendly infrastructure, Utrecht’s 311,367 citizens will have around €597 euro a head spent on them during the period. €66 million on infrastructure, both new and improved across the region. €34.5 million on offer for the development of bicycle bridges and tunnels, of which the most notable new bicycle bridge is on the Amsterdam-Rhine Canal. Bicycle parking is to be allocated €73.5 million. €11 million to be spent on “other” cycling developments. In the prior 2011 to 2014 period the city spent around €40.7 million on cycling infrastructure, which primarily focused on the new Leidsche Rijn development. Additionally, €46 million in bicycle parking was laid down, while bridge and tunnel projects added €18.5 million to the cycle-friendly city’s tally. In total, around €110.5 million was spent in cycling over that four year period. The full report (available in Dutch) is found here. The Atlanta Regional Commission has made good on a 2013 ambition to become a cycling city with the earmarking of $1 billion for walking and cycling leading to 2040. Stating that going forwards walking and biking will get priority in regional investment, the ARC plan will also provide a tool to assist local authorities in creating safe and comfortable environments for cyclists and walkers. Atlanta is made up of 10 counties and over 70 towns. As part of the investment, a bicycle-pedestrian plan will ensure funds are allocated “strategically”, in a move to connect parks, schools, shops and transit. Such a connected approach has been proven to drive return on investment. Off road trails are to benefit too. ARC and several of its planning partners will begin closing the gaps in the regional trail network. Connecting major trails, such as the Silver Comet Trail, Big Creek Greenway, Arabia Mountain Path and the Atlanta Beltline, creating one of the most comprehensive regional networks in the USA. 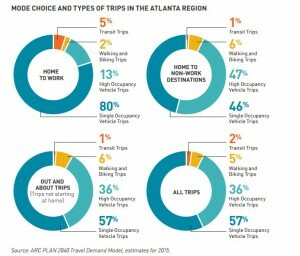 According to research, around 42% of metro Atlantans live within a five-minute bike ride of a trail, while 33 percent live within a five-minute ride of a transit stop. But today, fewer than 5 percent of all trips taken in the region are on bike or on foot. The new proposals aim to vastly improve upon these numbers, as well as shake of the car-centric image currently applied to the region. You can read more detail on the Walk.Bike.Thrive ambition here. Copenhagen has been granted nearly €19 million in the 2017 budget for improvements to cycling infrastructure, including bridges linking key parts of the city. Politiken.dk reports (in Danish) that a new link in Dybbølsbro will see a 56 million Kroner investment, improving life for cyclists between the famed Bicycle Hose bridge and Fisketorvet shopping area. The budget will also provide better parking facilities at transport hubs, as well as safe routes to school joining smaller local settlements. Repairs to existing paths will also be undertaken. In announcing the spend, Technical and Environmental Mayor Morten Kabell described the cash as “a victory for Copenhageners who want clean air and less noise. “Motorists are deliberately opted out during budget negotiations because the solution to congestion problems is prioritising space-saving transport such as bicycles and buses, while putting cars at the back,” he told the site. Barcelona’s City Council has outlined plans to invest €32 million in what it describes as a “coherent, connected and complete” cycling infrastructure network. With complaints of lack of continuity with the existing network, the Council has pledged to evenly cover the city, with work beginning on five new cycle lanes from this summer. During the first half of 2016, work has also been underway to complete four new lanes at a total cost of €515,196. The work expands upon Barcelona’s existing 116 kilometres of cycle routes. Like many other cities, Barcelona has now outlined an Urban Mobility Plan, which in this case envisages that, by 2018, 95% of the city’s population will have at least one lane within 300 metres of their home. The ambition with the new funding will see 308 kilometres of route open by 2018, a 165% increase in just a few years. To ensure the infrastructure doesn’t leave cyclists stranded at the end of their journeys, dedicated bicycle parking around the city is planned to hit 30,000 spaces. City of Leipzig mayor Burkhard Jung has told the International Transport Forum that his city has hit its 2020 goal of establishing a 20% modal share for cycling. Telling the gathered crowds how the share was just 5.8% in 1994, Jung reported that his city now has sights on one quarter of trips by bike by 2025. Leipzig is the largest city in the state of Saxony, with over 530,000 citizens and one of Germany’s fastest growing populations, making mobility issues all the more pressing for the current mayor. New data stemming from a New York Department of Transportation report has revealed cycling levels in the city to have jumped 80% in five years. With around 75% more cycling lanes provision added since 2005, the city has achieved rapid modal share growth in parts of the city otherwise reduced to a crawl by motor traffic. In the last five years the on street bike network has grown by nearly 300 miles in length, though just 45 miles of that is currently protected. During 2016, the city installed a record 18 miles of protected cycleway, as well as over 60 miles of “dedicated space for cycling”. “With this expansion of bicycle routes on City streets, along with the miles of new greenway paths in public parks, and the introduction of bike share, there have never been more people biking in New York City,” says the report. 25% of New Yorkers (1,594,000 citizens) are said to ride a bike at least once a year, with 49% of that pool (778,000) outlining that they take to cycling several times a month. On a typical day around 450,000 trips by bike take place, though these figures do fluctuate significantly between summer and winter. Between 2009 and 2014, analysis further demonstrated that around 340,000 more citizens have cycled at least once a year. This period further revealed a 49% growth in usage several times a month. Journey types are explored in depth, with 86,000 adults biking to work, or assisting their children to school by bike. Overall, daily trips saw a 7% growth between 2014 to 2015, further indicating that citizens are responding to the creation of infrastructure. Commuting is said to represent around one fifth trips and spiked most sharply in Manhattan, which achieved a 98% growth in five years. Growth has fluctuated between boroughs, with Manhattan and Brooklyn posting 98 and 83% increases between 2010 and 2015. Queens jumped 59%, Staten Island 22% and the Bronx 19%. By contrast, New York has become one of the more progressive U.S. cities, more than doubling LA’s 40% increase between 2010 to 2015. The Citi Bike hire scheme plays its part in assisting citizens without access to a bike to move around the city and has spiked sharply since its 2013 debut. Between 2015 to 2016 a 41% growth in the scheme’s usage became evident. Citi Bike is now North America’s largest hire scheme, accounting for 38,491 trips per day on average. The scheme is also set to expand in 2017. The City of Paris has published its figures from 2014 and a clear trend has emerged – car use is down, while use of the metro, bicycles and buses are rising. Sensors positioned throughout the capital showed a four percent decline in motor traffic and perhaps more significantly a 30 per cent dip since 2001. Cycling meanwhile is now believed to account for four percent of trips in the French capital, with trips having risen eight percent in 2014 over the prior year. This makes cycling the fastest growing transport mode, with levels peaking in both June and October during 2015. The JCDecaux-sponsored Velib hire bikes represented 42 per cent of bicycles on the road at the latest count. The city now boasts over 23,600 bikes, available 24/7 from 1,800 stations around the city at intervals of around every 300 metres. The scheme has recently been hit by a recall of some 4,600 bikes on which it was believed a rear brake issue could become present. Infrastructure remains the key concern for the Parisian cyclist, with just five kilometers of fresh tracks added in 2014. Bicycle parking too remains largely unchanged in the city. A ‘bike plan’ passed with the city council in April 2014, which was an election year – notoriously bad for making any real progress in cities around the globe. The plan does include a Spatial Express cycling network across Paris, with the addition of two bike stations at Lyon and Montparnasse’s train stations. These will take bike parking at the two transport hubs from 2,000 to 3,000 places. Nationwide, a voluntary scheme to encourage cycling was passed into law last year whereby employees can be paid 25 cents per kilometre (income tax exempt) to cycle for work. At the time of the initial trials, 19 per cent of those involved said they have begun to cycle more than previously. In Lyon, 20 percent less cars enter the city when compared to just a decade ago. A further 20 percent decline is to be encouraged as the city’s network of 348 hire bike stations grows. pollution, as opposed to clever advertising tech. Better known for its scooters, Milan is one of Italy’s econonomic giants and could soon be the beneficiary of part of a chunk of Government sustainable mobility grant totalling €35 million. 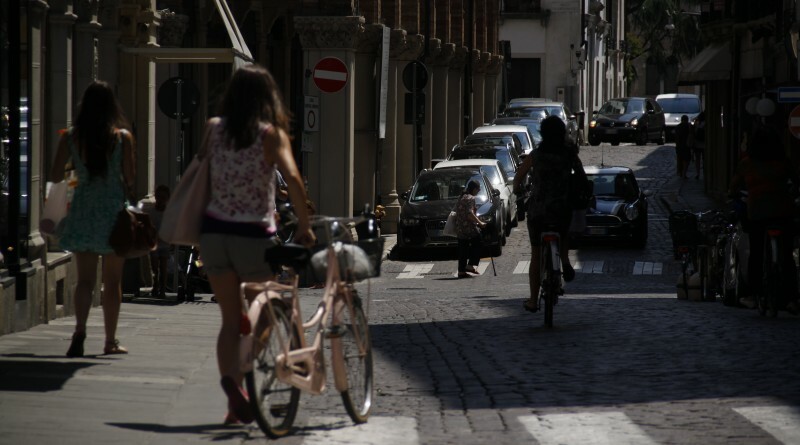 In the coming weeks authorities in Italy will submit their claim to the cash and Milan’s councillor for mobility Pierfrancesco Maran has already expressed his interest. Maran has said that he is interested in trialling a similar scheme to a 2014 scheme in France whereby riders were paid 25 centimes for each kilometre cycled. The experiment lasted six months and was run alongside 20 companies with around 10,000 employees. You may spot the bright yellow bikes of the Bike Mi share scheme dotted around the city and the third phase of this introduction now features “at least 1,000” electric bikes, as well as updated hire stations. In December Milan and Rome both took the almost unprecedented step to ban and restrict cars from the cities as smog took over. South African tourism hot spot Cape Town is to lay down 160 kilometres of cycling routes by 2017, the Minister of Economic Opportunities has revealed. “By the end of March next year, our goal is to have completed the track between George and Plett. As part of this process, the signage, which complies with international standards, will be erected. “We’ll also complete an audit of accommodation, existing cycle tracks and bike shops. Part of our strategy will include launching the route through an international event,” said Minister Winde. Driven forwards by the Western Cape Government, Wesgro, local municipalities and private sector stakeholders in the region, the project will see an investment of R4 Million. The route will include road track, mountain trails, jeep and forest tracks. Winde continued: “This initiative stands to deliver a major economic boost for the Western Cape, and especially for the small towns along the route. Tourism is one of this province’s biggest employers. “Project Khulisa has identified it as the fastest growing sector. Currently, 204 000 people are employed in formal jobs in the sector and through initiatives such as the Cape to Plett route, we want to add up to a further 100 000 jobs to the sector. British Columbia’s Ministry of Transportation and Infrastructure has set aside $8 million for cycling infrastructure projects in the 2017-18 fiscal year. The ministry had previously committed $18 million over a three year period as part of the BikeBC program. The call for applications for both programs will be announced in the coming weeks. Going forward, the ministry will implement the earlier intake dates annually. In contrast to other transport spend allocation, the funding is however miniscule, especially considering the province’s 4.6 million strong population. The Ministry of Transportation and Infrastructure will invest almost $2.7 billion over the next three years to improve British Columbia’s transportation network. Quebec is to further build on its already 700 kilometre plus network of cycling infrastructure with a further $15 million investment. 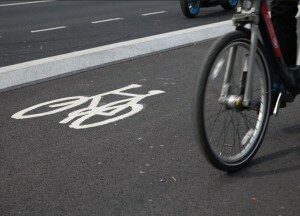 The city’s bike paths have proved popular, something which city councillor Marc-Andre Gadoury says is reason to continue to expand the network to connect the region further. Gadoury is a urban transportation expert, now part of the Mayor’s team on transport. Detailing plans to add 57 kilometres, the new proposals will extend the De Maisonneuve path through the city’s Village and toward boroughs in the east. The plans should help connect 13 Montreal boroughs and at least four of the island’s independent cities, reports The Suburban. The region, which is Canada’s second most populated and largest by footprint, plans to up its bike path network to surpass 1,000 kilometres in the next five years. Visiting the area? 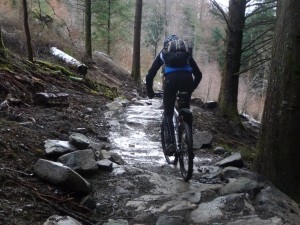 A great round up of some of the best routes by bike can be found here. The Portuguese Government has launched a bicycle rental project with 17 Universities nationwide, citing a goal to up cycling’s modal share to 5% nationwide by 2020. Investing some €6.4 million into the scheme, the Ministry of Environment will look to grow the current 1% of trips by targeting students in higher education. Bicycle parking will also be funded on campuses as part of the budget. The project aims to get some 200,000 students annually on over 3,000 bikes, more than 1,000 of which will offer electric assistance. Read more on the project on Observador. This city has long been the premier cycling city in France. They have implemented 536 km of cycle routes as well as arguably the largest, most widespread bike sharing system, ‘Vélhop’. This cycling system enables you to get short-term rentals starting from €1 or long-term rentals starting from around €5 . 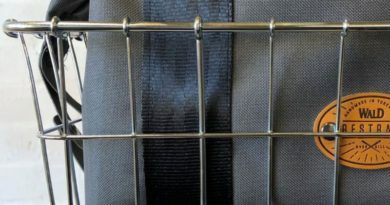 Bikes can further be customised with baskets and child seats. Inspired by cycling success to the West in Copenhagen, Malmö the third-largest city in Sweden is the country’s cycling capital, light years ahead of any other large Swedish City. In 2013 they opened Bike & Ride Parking at Central Station with a capacity of 1500, which is free and completely secure as it is patrolled 24/7. As well as this, for a number of years Malmö have had a successful cycling campaign called ‘No Ridiculous Car Trips’. It aims to encourage people to substitute a car for a bike in journeys under 5km – while promoting the personal and environmental benefits. Ahead of the April 30th official opening of ‘Crossrail for Bikes’ in London, London Mayor Boris Johnson revealed that cycling on the Vauxhall stretch is up 73 percent year-on-year. The near 12 mile ‘Crossrail’ route, capable of hosting the equivalent of 41 double decker buses worth of cyclists, is part of TfL’s plans to give cyclists a safe way to traverse the city away from motor traffic. 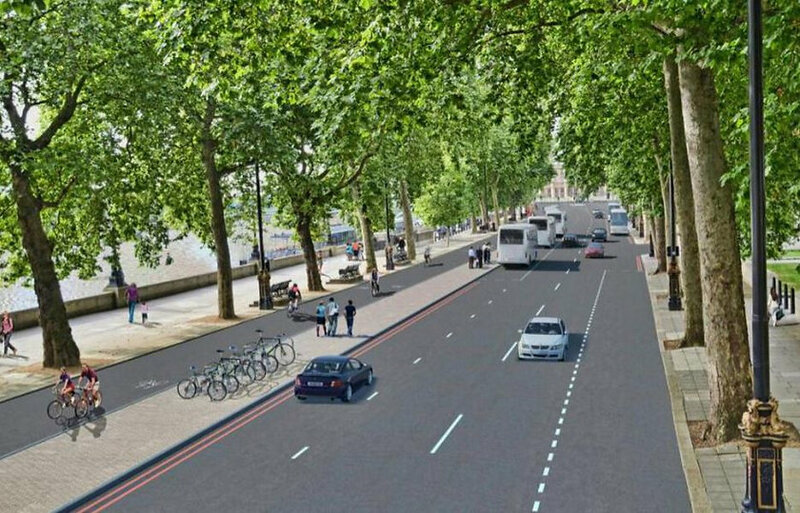 London’s mayor Boris Johnson said today while revealing the latest chunk of the £47 million project: “In 2013 I stood on this very spot on the Embankment and promised that we would soon behold a magnificent cycle superhighway. Many doubted it would ever get beyond the artist’s impression. A noisy minority fought hard to stop it happening. “But, in opinion polls and public consultations, large majorities of ordinary Londoners, most of them not cyclists, said they wanted this project and what it represents for a cleaner, safer, greener city. Vauxhall’s bridge is a key commuter artery and stats now available show 3,394 cyclists on average used the bridge crossing daily – a marked increase over last year’s average of 1,967 a day. During the same period, cycling levels across the city have risen around 10 percent. One in five cyclists is still opting to use the main carriageway over the cycle superhighways. Back in March 2015 TfL’s Cycling Vision Update was downgraded from its ambitious target of 400 percent growth in cycling by 2026. Since then, the TfL has overcome legal pressure from the local Taxi Driver’s association to push forward development of the East-West Superhighway. Cycling trips are now believed to total 610,000 journeys daily in the UK capital and rose 11 percent in 2015. There are still plenty of barriers to overcome before London is truly considered the benchmark for UK cycling infrastructure. One in every 515,000 cycle journeys ended in a death or serious injury – the lowest rate since 2006. Lib Dem mayoral candidate says this is still unacceptably high and has called for a rush-hour ban for lorries in Central London. Seven cyclists were killed in HGV incidents in the capital during 2015 – more than in any other kind of incident involving a cyclist. Read what former transport journalist of the year, cycling advocate and CyclingIndustry.News contributor Christian Wolmar has to say about the challenge that lies ahead for London’s next mayor here. With the Capital’s mayoral election result due on May 5th, Sadiq Khan has come out of the blocks describing cycling as a “real election issue” in this interview with Chris Boardman.Khan also pledged to increase funding for cycling should he become mayor. Above: Department for Transport statistics on vehicle usage in London. Ghent has 400 km of cycle paths connecting the entire city, from the station, through the Citadel park and into the city centre. Cycle lanes have been built alongside existing canal networks and cycle re-design means that in the city cyclists now pass underneath busy roads and not over them. In addition to this, through formal legislation the country’s first cycle streets have been implemented where cars are considered ‘guests’ and must stay behind cyclists using it, without overtaking. What’s more, a cycle hire scheme called StudentENmobiliteit for students and at highly subsidised rates has 7,000 bikes at its disposal. For the general public, mainly commuters, there is the Max Mobiel bike hire scheme that operates from the city station and offers a total of 200 bikes. Having been credited with the hosting of VeloCity this year, Taipei is a changing city. Perhaps thanks to the city’s links to domestic manufacturer Giant, the YouBike Hire scheme was touted by the brand’s founder King Liu as having the highest per bike hire rate in the world at 8.57 rentals a day. In existence since 2009, that share scheme launched with just 11 stations and 500 bikes. Today that figure is 214 stations offering 7,000, the majority of which are strategically placed at key transport hubs and tourist hotspots. Since 2009, YouBikes have been hired over 40-million times. By 2018, the YouBike fleet is expected to span 400 stations, with 13,000 bicycles available to citizens in Taichung City, Chengua Country and New Taipei City. The first 30 minutes of hire is subsidised by Taiwan’s Environmental Protection Administration. When it comes to infrastructure, the city has been building for a planned increase in bicycles. The city now boasts 58.93km of cycle lanes in Downtown Taipei alone, with 498.38km across the city as a whole. Such has been the success of Taipei’s cycling evolution delegates from numerous other cities reportedly been sent to analyse Taipei’s progress. 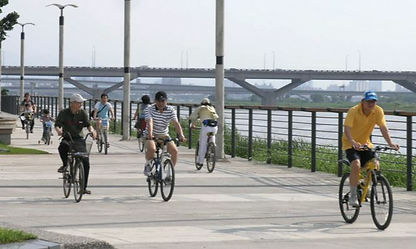 By 2019 Taipei has plans to add a further 192.9km of bike lanes to the existing infrastructure. The phrase build it and they will come applies here, with a 2014 ECF report showing that cycling’s modal share in Taipei has risen 30 percent year-on-year to now total 5.5 percent of daily trips in the city. add to that Taipei’s commitment to take part in World Car Free day since 2001 and the city is looking like it’s beginning to shake off the dominance of motor traffic. Alongside Cologne and Hannover, Berlin moved to ban diesel cars without a catalytic converter from the city as far back as 2008 with a resulting 14 to 22 percent drop in diesel particulate concentrations. Cycling’s modal share had been on the rise and is now said to represent 15 percent of those on the move in the city, or some 500,000 people daily. Plans have now been outlined to connect the city in a more intricate manner, adding to the existing network of bike paths. The rail line that once connected Potsdamer Platz and Potsdam via Schöneberg and Zehlendorf could now be set for a cycle-path revamp. 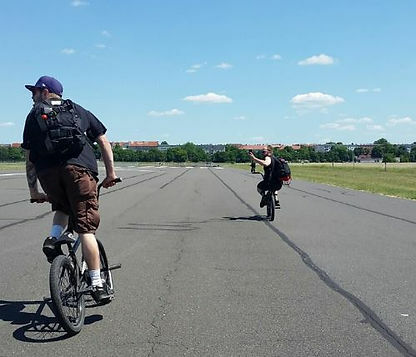 For those training on the tarmac and even BMX riders, Berlin’s out of use Templehof airfield (pictured) has been reclaimed by the citizens as a public space. Around 1,000 kilometers of cycle paths currently make up Berlin’s fabric, with twelve major arteries branching out from Sclossplatz in the centre. For those looking at touring, Berlin is connected over a distance of 3,500 kilometres to Calias, France and St Petersburg, Russia. An alternate route can take you north to Copenhagen via Brandenburg and MecklenBurg-Vorpommern. Chosen as the European Green Capital in 2016 it’s no wonder we see Ljubljana in the top 10 cycling cities. There are 73 km of cycle tracks and 133 km of bicycle lanes. They’ve implemented Copenhagen-style, curb-separated cycle tracks and redesigned the cities main street to limit motorised traffic through the middle stretch by narrowing it to two traffic lanes, making room for extended sidewalks with bicycle lanes on both sides. In addition there is an urban cycling scheme called ‘Bicike(lj)’ which has 300 bikes, 600 parking places and 31 stations in the city. 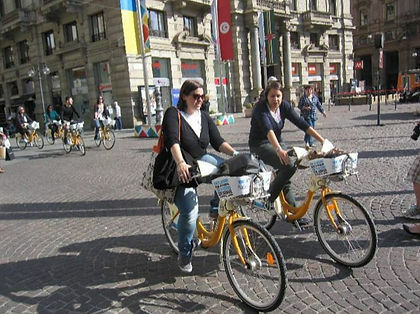 The annual cost of registration for the bike-sharing scheme is 3 euros and a weekly charge of 1 euro is implemented to tourists and visitors. 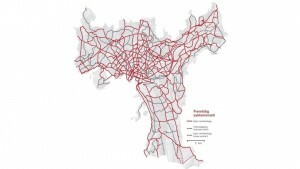 In the past four years over 140 km of cycling infrastructure has been implemented in the city helping to connect the outer suburbs with the inner city. Many of the bike lanes are segregated and protected from vehicle traffic making it safer and secure. EcoBici is a bike share scheme in Buenos Aires which provides free bikes for up to an hour at a time. To use them, you need to first register at one of 32 bike stations around the city and there are helmets and maps available on request. In a case that will only strengthen the case for build it and they will come, Seville has reportedly chopped car use by 27% in the past ten years, while cycling has risen from 0 to 9% of trips in the Andalusian region in just four years. Joining the list of cities worldwide seeing drastic modal share shifts, Seville has cut average daily car counts from 950,000 in 2005, to 697,668 last year. Meanwhile, daily cycling trips now top 70,000. 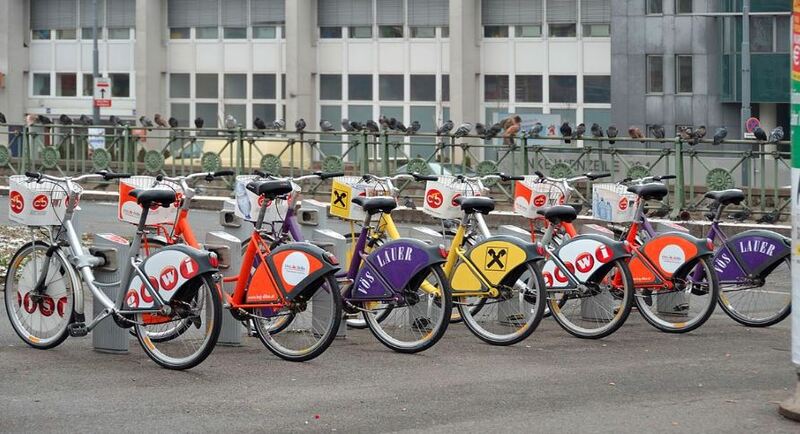 During the same period the now ubiquitous Sevici bike hire system now boasts 250 docking stations housing 2,500 bikes. In the first year of Seville’s infrastructure transformation the city built 70 kilometres of cycle paths, with campaigners pointing to examples of isolated lanes not producing results. In contrast, capital Madrid sits rock bottom on Europe’s capital city league table, with 0.5 of trips by bike. Jaime Díaz, owner of the city’s bike boutique Slowroom, says is problematic for the capital and his business. Adelaide is set to make its biggest ever investment in cycling having announced a $12 million investment in north-south and east-west infrastructure. 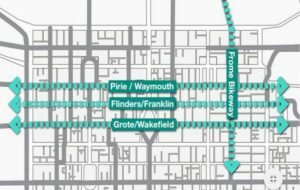 The fresh investment will be delivered by the State Government and Adelaide City Council, which envisions connecting the Frome Bikeway to the River Torrens as part of a north-south link. The east-west route will seek to connect Kent Town to Mile End, though the route will go up for consultation. Included within the funding pot will be an inner city bike share scheme, anticipated to cost $1 million to implement. Much like other cities around the globe, the region is to learn from prior mistakes, having previously spent $1.6 million in 2014 on a lane now set for demolition. 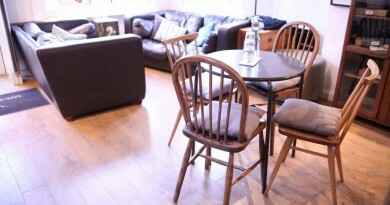 Adelaide now has further details. Surveying the habits of 14,250 people, the data gathered reveals that cycling now accounts for 2% of weekday journeys. All public transport use equates to 8.7%, while public car use is a rampant 73%. However, it’s noteworthy that cycling’s weekday rise in relatively flat Melbourne now tops both tram and bus use at 1.5% and 1.8%, respectively. Predictably, the denser the urban area the better cycling’s share, with inner Melbourne’s modal share rising to 5% of trips. the further out you get the greater the decrease. Within the city’s inner ring cycling trumps tram use at 4.3% and bus use at 1.4%. When it comes to commuting, the study shows that cycling’s modal share is 3.3% overall, rising to 9.2% – equal to tram use – in the inner ring. Norway looks set to spend $923 million on fresh cycling infrastructure, equating to around $184 per head of the five million strong population. The National Transport Plan proposal, is to create ten two lane cross country bike tracks in and around Norway’s nine largest cities. Currently as good as impossible, unless you’ve a fatbike and a lot of willpower, the tracks form part of a plan for the Nordic territory to slash its transit emissions by half. As is often the case elsewhere in Europe, the plans have been met with some opposition, with local politicians pointing to the territories often snowy climate as a reason why the highways are not a good investment. Meanwhile, those in favour of the bike paths are concerned that rural areas may still be poorly connected. There’s plenty of time for politicians and advocates to discuss the proposals – the newly released transport plan details improvements due between 2018 and 2029. Read about the planned infrastructure in greater detail here. With goals to increase the bicycle’s modal share to 16 percent by 2025, Oslo’s strategy will be to invest Kr13.8 billion (over $2 billion or £1.41 billion) to create a network of 510km of cycling infrastructure. Sitting at the head of the Oslo Fjord, Aftenposten.no reports that Norwegian capital has discarded an old plan detailing just 180km of cycle routes, which should have been completed several years ago but has hit delays. Once completed, the updated network will place 85% of citizens within 200 metres of a cycle path. Set to be delivered in two phases, the first will cost Kr4.6 billion and deliver 80km of path to be delivered by 2025. The second phase has a rough estimate of Kr9.2 billion. 6 in 10 will live within 200 metres on completion of phase one. Within the inner city, eight key routes will cover 50 km and will form key commuter arteries. The announcement adds that the bulk of these will be suitable for riders aged 2 to 80 years, suggesting that these will be segregated from traffic flows. Of the total network, Oslo’s city council will construct 375km of the total, with the Norwegian Public Roads Administration adding a further 135km. Over the next four years, the Netherland’s southerly Brabant province is to invest a further €41.3 million into fast bike highways. As part of a wider €125 million plan to develop active travel, five new fast routes are planned with a total combined length of 183 kilometres, giving the region a series of segregated routes capable of housing high speed cycle traffic. By definition, ‘fast paths’ allow riders to cover greater distances, often up to 30km in length and have become increasingly popular with the advent of electric bikes. It is anticipated that new constructions due by 2020 include the 14.6km between Roosendaal and Bergen op Zoop, the 12.7km between Eindhoven and Helmond via Nuenen, 10km linking Eindhoven and Helmond via Geldrop, as well as the 18.7km linking Den Bosch and Waalwijk, among other links. The Province of Brabant is to contribute approximately half of the cost toward the highways, some of which are already built and hosting cyclists. 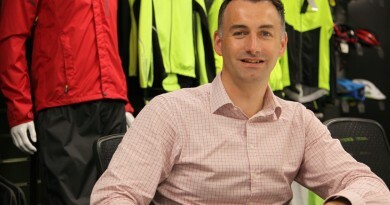 Local Government and employers have reportedly invested heavily in commuter and leisure cycling in recent years, with transport hubs carrying public hire bikes and large scale businesses encouraging cycling to work. The Netherland’s Future Agenda Quick Cycle Route map is now set to offer 675 kilometres of fast cycle path at a total cost of €700 million. For more background on the project, see here and here. A Cycling Scotland report detailing everything from participation levels to road safety has revealed a steady rise for modal share, but blames the weather for putting a dampener on Scot’s desire to cycle. The local Government’s Cycling Action Plan committed Cycling Scotland to an annual report on indicators of cycling participation. In the 2016 document, it has been revealed that modal share is highest in Dundee and Edinburgh at 4.2% of journeys, with a national average of 1.4% in 2014. Sounds about right for the UK? Well that figure was just 0.4% in 2013, so growth has been forthcoming in recent times. 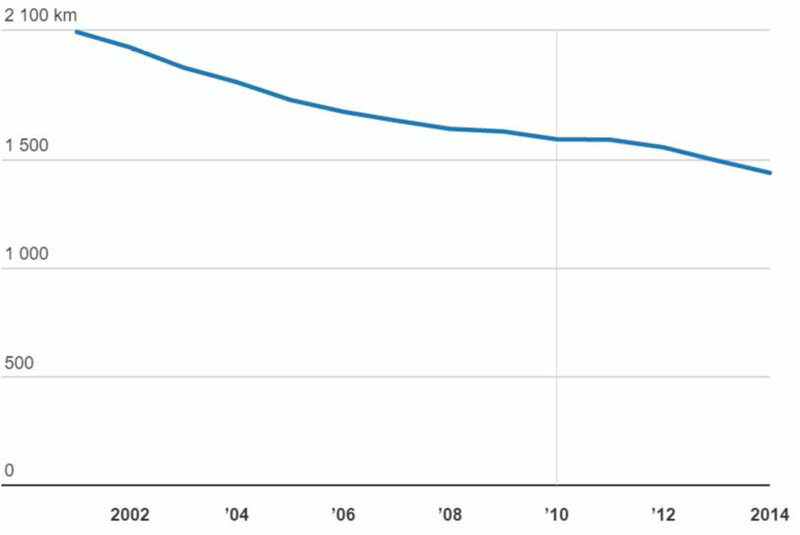 Cycling as a percentage of total traffic volume was 0.54% in 2004 and 0.76% in 2014. Cycling to school levels in 2014 indicated that 5% of kids are taking to two wheels for their journey in primary, but as is the case in England, that figure drops substantially by secondary school, with just 0.9% participation. When it comes to commuter cycling, 6% are said to regularly take to bicycles for their journey. Edinburgh, Argyll and Brute, Moray, Highland and Dumfries and Galloway have the five highest shares. The wards with the highest level of cycling to work include: Meadows/Morningside [9.9%], Southside/Newington [9.3%] and Fountainbridge/Craiglockhart [6.9%]. 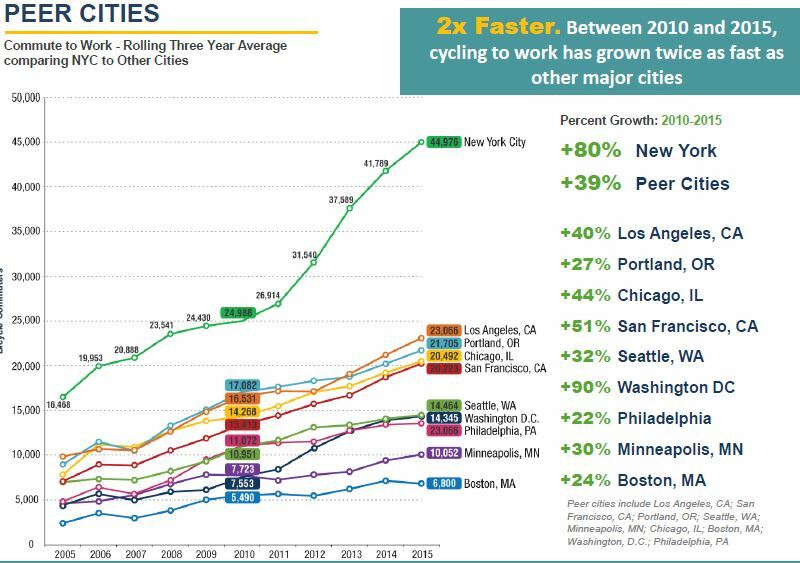 While growth has begun to accelerate, the five reasons given for not cycling more often are in some cases perhaps justified, but largely typical. 35.9% blamed distance – the most common reason. Next up is the typically soggy climate at 18.9%. Motor traffic – a somewhat ironic excuse if the person the takes to a private vehicle – accounts for 14.1%. 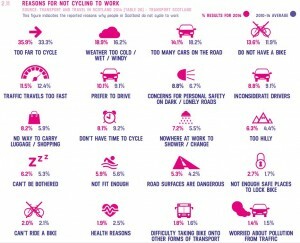 Sticking with the reasoning for not cycling, 62.7% of journeys in Scotland are sub 5km. That figure varies wildly with the topography, however. In Renfrewshire just 45% of journeys are sub 5km. When it comes to infrastructure, Scotland is gradually gaining extra kilometres for cycling, but in some crucial urban areas the stats have gone in the wrong direction. As a result of sections of the National Cycle Network being redesignated, urban spaces actually lost 28.4 kilometres of infrastructure between 2013 and 2014. There is a net gain, however, to the tune of 376 kilometres, largely delivered in rural open road paths and attributed to a route through the Western Isles becoming NCN classified in 2013. Between April 2011 and April 2015 31km of NCN community links were added and a further 89km non NCN classified. Overall NCN growth saw 412 extra kilometres developed in the four year period. A further 155km was upgraded or resurfaced by Sustrans and its partners. In its “areas for development” conclusion, the document first of all reminds us that Scotland’s Cycling Action Plan has a vision for 10% of journeys made by bike by 2020. Furthermore, it calls for the creation of a key set of indicators on behaviour, infrastructure and other trends. Gathering that information, it says, is key to policy development. Additionally, a co-ordination of gathered data is asked for from a range of sources, including automatic counters and surveys. You can read the full report, which includes breakdown by district, in all its infographic glory here. Cycling campaign group Spokes has revealed that a May 2016 traffic count in Scotland’s capital city gave cycling a stunning 26.1% modal share during the 8 to 9am rush hour. The news follows this Cycling Scotland study, which reveals that bicycle use is up 46% in a decade. Including non rush-hour findings, Cycling Scotland believes that Edinburgh has a 4.2% overall modal share for cycling. Nationwide that figure sat at around 1.4% in 2014, which despite being a low figure, is a marked increase on the prior year’s 1%. Despite a lack of what could fairly be described as bike friendly infrastructure, the count, which takes place on the second Tuesday of each month, 22.7% of vehicles headed for the city along commuter artery Lothian Road were bicycles. On the city facing side of Forrest Road that figure was 26.1%. The count took in all vehicle types in both directions and counted over 500 bikes in one hour. Private car use is gradually declining, reveal the stats, with the same month last year recording 1,663 against this year’s 1,617. As part of the count, data was recorded on car occupancy and it was calculated that 77% on the roads had just one person within. Long term census trends point to an overall tipping of the balance, with cycle use rising against falling motor vehicle counts. Edinburgh’s transport strategy is to reduce car trips by 12% from 2010 to 2020. Cycling Scotland’s analysis places 74.9% of journeys in the city at under 5km for all modes, suggesting that investing in cycling could see a drastic modal shift change. In terms of children cycling to primary school, that share has risen from 5.8% in 2009-2011, to 6.2% in 2014. That does however fall substantially by secondary school, as seems to be the trend nationwide, dipping to 1.3%. You can catch the findings in full here. New Zealand’s Transport Agency has outlined a vision to increase cycling trips to ten million per annun by 2019. The Urban Cycleways Programme, combined with allocation for cycling in the National Land Transport Programme (NLTP), plus local share funding, means up to $300 million is available for urban cycling initiatives over the next four years. Following the announcement of $100 million in additional funding for the Urban Cycleways Programme in 2014, the Wellington City Council is just one pushing forwards with changes that will promote cycling for transport and is set to benefit from $36.91 million in funding allocated for cycleway construction between the city and Hutt Valley. This proposal follows a March to June 2014 survey in which 22 percent more people would like to cycle to work in Wellington, on top of the 9 percent that already do. 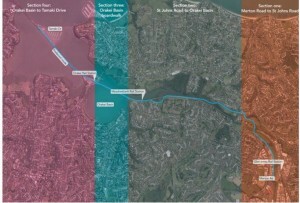 Auckland too has just publicised its ambitions, worth $40 million and proposing links connecting the region’s North-West through South-East by 2018. This is to be delivered in the four phases (shown right). It has already received $10m of funding through the Government’s Urban Cycleways Programme and is being jointly delivered by the NZ Transport Agency and Auckland Transport. Two of these links are now out for public consultation. Auckland Transport’s Cycling and Walking manager Kathryn King said of the project: “This is a significant project that will make cycling and walking throughout this part of Auckland easier and safer. To make it even better, we are currently working on connections with residential areas along the route. “When completed, people will be cycling, walking or running through the eastern suburbs and into the city centre via Tamaki Drive to work, study and for recreation,” says King. The goal for Auckland is an ambitious 30 percent increase in journeys by 2019, which given the proposed inviting four metre wide cyclepaths, should be achievable. Furthermore, the Auckland Regional Transport Authority estimates that 43 percent of peak time morning trips are sub 5km, though 67 percent of those are take place in private cars. This inactivity in transport is an area that the World Health Organisation has recently recommended Governments worldwide press for progress. In New Zealand as a whole, physical inactivity contributes to around eight percent of all deaths, according tot he National Health Committee, while one in three adults are overweight. In children’s health, one in five are considered overweight. Citing a British Heart Foundation study, the report stresses that cycling 32km per week can halve the risk of heart disease compared to those who rarely exercise. Sixty percent of Aucklanders say they would cycle if separated cycle facilities were installed (and almost one in four own a bike already). • healthier and more productive people. Already boasting participation of 24.8 percent of its adults, cycling is said to be the New Zealand’s third most popular recreational activity. Growing that number, especially when it comes to transport, is central to the ambition. Within the 2013 census it was found that cycle to work levels have grown 16 percent since 2006, with growth of up to 40 and 22 percent in Wellington and Auckland, respectively. Correlating with this UK study that shows cycling infrastructure does indeed grow numbers, New Plymouth meanwhile has already built a cycling network and seen a 35 percent increase between 2006 and 2013. The majority of this increase stemmed from use of shared use cyclepaths, many of which saw a 50%+ rise in commuting cyclists. A further report, also stemming from the NZ Transport Agency, is dedicated entirely to the economic case for investment in cycling. Despite the report’s admission that the territory has underachieved on some investments in cycling, one example of success comes from the New Zealand Cycle Trails programme, which over the past five years has leveraged $30 million in spend to date. “An evaluation of the New Zealand Cycle Trails project found that across 439 local businesses surveyed in the case study regions, about 50 full-time positions had been created as a result of local trails opening. One trail had an estimated 100,000 users in a four-month period. Early reports from Hastings indicated a healthy 20 percent or greater increase in cycle numbers per annum, visitors being attracted to the area because of its cycling opportunities, and local businesses associated with cycling reporting significant business growth,” offers the case study. The case for investing touches on familiar ground when it comes to road safety, detailing how cycling is currently perceived as unsafe by many road users. Three percent of on the road deaths include someone on a bicycle. Therefore, the report suggests that improving safety is both crucial to lowering that figure, but also to realising a wider than often stated range of benefits – including transport efficiency, as well as societal and individual health and social benefits, among others. This is supported by work in Hastings, one of New Zealand’s two cycling and walking model communities and one that has demonstrated that cycling can be made safer. Cycle crash rates there have fallen to about one-third of what they were in only two years, despite early indications from year two cycle counts showing a healthy 20 percent increase in cycle numbers. Elsewhere in New Zealand, cycling leads to about double the rate of on-road deaths and five times the rate of serious injuries in motor vehicle crashes for total time traveled than its proportionate use of the network. In its analysis of fatality rates the study looks toward Europe’s examples of building in safety. On to environmental benefits and the report estimates that shifting 5 percent of car trips to bicycle could reduce emission impacts by up to 8 percent, as well as offering noise reduction. A strong recommendation for Christchurch is to re-channel parking infrastructure for cycle use. Here, 70,000 extra car journeys a day are anticipated by 2041 unless a modal shift is achieved. The expense of catering for that traffic is considered wasteful and the alternative, proposes the city, is to achieve a threefold increase in walking, cycling and public transport use. In 2013 the city had a cycle modal share of 4.9 percent. Reverting quickly back to the Benefits of Investing in Cycling in New Zealand Communities report, research from the Mt Cook suburb of Wellington suggests that an individual can save $472.24 a year by opting to cycle instead of travel by car in the city (based on three trips per week into the city centre). As has been found elsewhere, retailer concerns of replacing car parking with active travel infrastructure are reportedly unfounded. You can read the Business Case for Cycling report here. 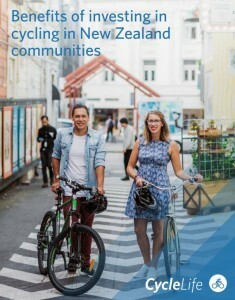 The Benefits of Investing in Cycling in New Zealand Communities report is found here. A detailed network of bike trails spanning a large swathe of New Zealand has been given the thumbs up in the 2016 budget by the Prime Minister and Tourism Minister. Initially totaling $26.3 million, the NZ Government is to inject $13 million into the scheme, with the Central Lakes Trust stumping up another $11.15 million. The remainder comes from the Otago Community Trust. A further $25 million funding has been set aside for the next four years, which will ensure the trails is kept at a “world-class” level. The funding comes as part of a wider $45 million injection into the region’s tourism, something set to offer job growth in the region. “The New Zealand Cycle Trail has already been extremely successful in attracting high-value visitors to the regions and getting them to stay longer, with regional economies experiencing positive spinoffs such as a growth in jobs,” says Mr Key. “This new funding of $25 million will support work to connect some Great Rides so communities can benefit from visitors spending more time on trails, as well as linking visitors to regional tourist destinations. “This funding builds on government investment of nearly $60 million to date in developing and maintaining the trail network, on top of co-funding from local communities. Plans for the continuous trail network outline some 536 kilometres of bike path, something which has been dubbed “game changing” for New Zealand’s tourism. Already in existence are four Great Rides routes, which will be further integrated into new routes. 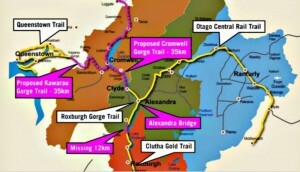 “The proposal to create a 536 km continuous cycle trail network by linking four existing Central Otago Great Rides – the Queenstown Trail, the Otago Central Rail Trail, the Roxburgh Gorge Trail and the Clutha Gold Trail – is the type of enhancement to the Great Rides we want to encourage. Other regions interested in connecting or expanding existing Great Rides will be able to apply for funding, with communities and local councils required to co-fund local projects. “Tourism brings a range of benefits to local businesses and communities and the New Zealand Cycle Trail is playing an important role in attracting visitors to help regions realise their tourism potential,” Mr Key concludes. There are currently 1,300 km of cycle paths in Vienna, but they are looking to make bike/motorist relationships more stress-free. At hotspots, traffic lights set with detectors are programmed to tell when cars are coming and to give priority for cyclists, so that they do not have to keep stopping. Rental bike companies are springing up too, including many specialising in e-bikes and electric-powered cycle. Romania’s Ministry of Economy, which sets the strategy for the National Authority for Tourism, has outlined ambitions to lay down a nationwide cycling network in an effort to boost tourism. Emulating other European states, News.ro reports that a number of sources of funding are being considered, but the key hurdle remains legislation for cycle path standards. Indicating that it is to take the nationwide expansion seriously, the region has even hinted at fines for local authorities that do not begin to plan for cycle travel. The lure of a quick return on investment is further said to be a driver of the plans and the Government has noted Germany’s rapid acceleration of cycle tourism revenues. 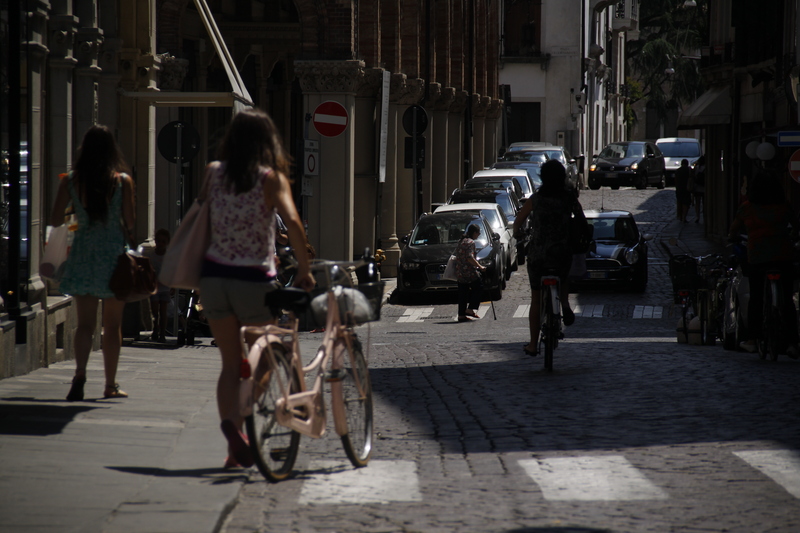 In towns and cities, provision for cycling is also set to be developed in streets with a 30km per hour limited speed. This article features some content produced by Sara Whitehouse at Broxap, specialists in cycle parking and intelligent street design. The firm has worked with numerous UK councils, schools and street planners to build in cost-effective solutions to encouraging increased cycling. Think your local area needs more cycle parking? Broxap’s free funding guide could help you raise funds.